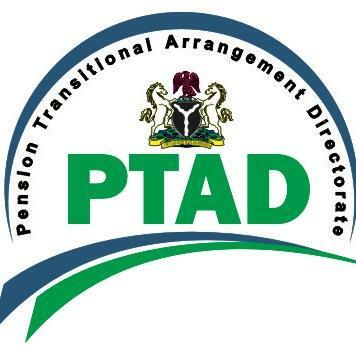 ICPC Commends PTAD On Fight Against Pension Scammers And Fraudsters. The Executive Secretary, of the Pension Transitional Arrangement Directorate, PTAD, Sharon Ikeazor has been commended on her determination to win the fight against pension scammers and fraudster through creation of Anti-Corruption and Transparency Unit (ACTU) in the Directorate, vigorous media campaigns against fraudsters’ activities and staff training on early detection of fraudsters and scammers in the system. The Executive Chairman Independent Corrupt Practices Commission (ICPC) , Prof. Bolaji Owasanoye gave the commendation when PTAD Executive Secretary, Sharon Ikeazor led Senior Management staff of the Directorate to the Commission on courtesy visit to the new Chairman and Board members to seek for their collaboration on the fight against pension fraudsters. PTAD Executive Secretary used the meeting to update the Chairman on the activities of the Directorate and achievements recorded under her leadership. She said the Directorate has concluded verifications for three (3) main operational Departments (Police Pension Department, Custom, Immigrations, Prisons Pension Department and Civil Service Pension Department) under the watch of ICPC officials and that the last Department (Parastatal Pension Department) which comprises of over 270 defunct Treasury Funded Agencies will be conducted in April 2019. She also used the visit to solicit for enhanced collaboration with the Commission, which would facilitate the apprehension and prosecution of the unscrupulous pension phone scammers, whose antics were becoming savvy. Furthermore, PTAD Executive Secretary expressed her most sincere appreciation to the Commission for the role they played during PTAD staff audit exercise, which was conducted in conjunction with the office of the Head of the Civil Service of the Federation. The ICPC Chairman assured PTAD that the Commission will give full support to the effort of the Directorate to sanitize the system and put an end to pension scammers and fraudsters. He promised to create a desk office that will relate with the Directorate to fast-track apprehension and prosecutions of the offenders. Presidential Debates Fix For January 19.